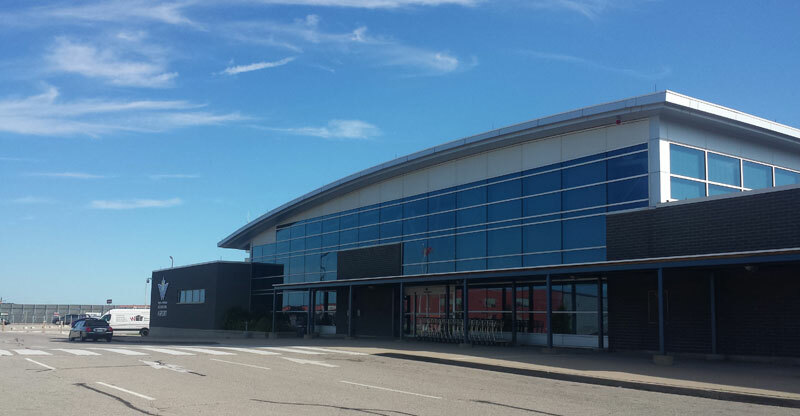 The Waterloo Regional International Airport (YKF) is a full-service, customer friendly Airport offering commercial, corporate and general aviation to the residents of South Western Ontario. The Airport is centrally located in the Kitchener Waterloo area and only 10 minutes from Hwy. 401 and within a 25 minute drive from the cities of Cambridge, Kitchener and Waterloo. This upcoming airport offers great air fares and daily service to Chicago, Calgary, Orlando and also seasonal service by Sunwing Airline to Cayo Santa Maria, Cuba. We at Canam Limo provide YKF Limo Service from cities in South Western Ontario. 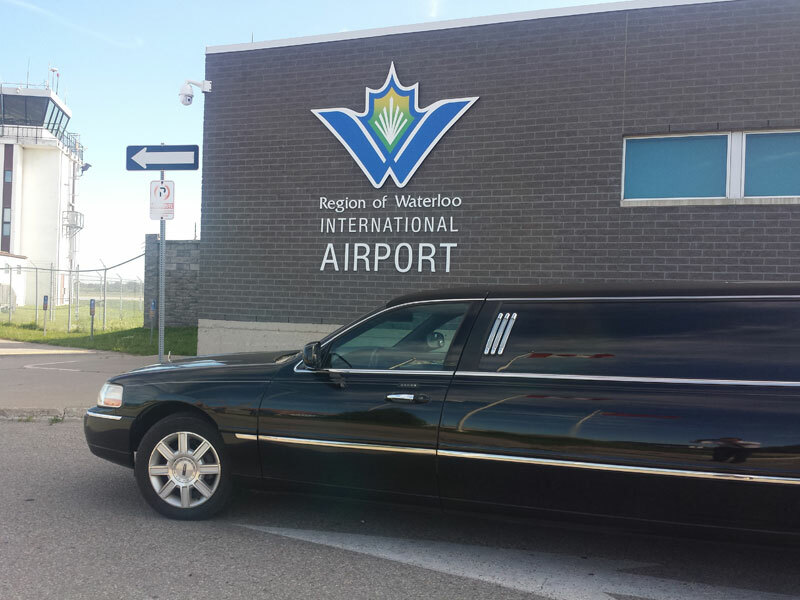 Limo Service to Waterloo Regional Airport is offered in Luxury Sedans, SUVs and Stretch Limos to accommodate larger groups and families who plane to go on a vacation down south using this passenger friendly airport. Ground transportation to YKF Airport is available 24 hours a day, 365 days a year. If you plan to fly out of Waterloo Regional Airport just call us and book your car service to YKF with Canam Limo. 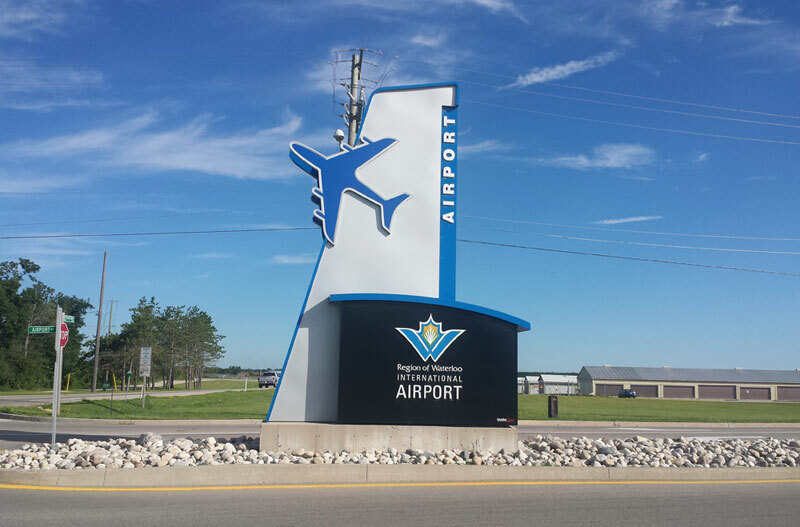 If you are arriving at Waterloo International Airport (YKF) you can pre book your ground transportation from YKF to any destination in South Western Ontario, all you need to do is make a reservation with us by providing your flight details and we will meet and greet you at the airport and drive you to you given address. Our professional Limo drivers will make sure that your Limo service from YKF is comfortable and you arrive at your destination safely. We at Canam Limo assure you that we provide top class car service to Waterloo international airport. On This Page you will find all the information about YKF and approximate time to get to the airport from most major cities in The Greater Toronto Area. You can find all the information about the airport, flight arrivals and departures, airport parking and much more. Limo Fares to YKF from the Major Cities In greater Toronto Area, If you don’t see your city or township in the price list then call us at 416 628 6284 and a Live operator will be more than happy to assist you in helping you with your inquiry. Additional Fee will be charged for use of Toll Highway 407ETR (IF USED). There is no waiting charge for pickups from the Airports due to flight delays however there will be a waiting charge of $ 10.00 for every 15 minutes for the pickups in Sedans and $ 20.00 for every 15 minutes for the pickups in Stretch Limos if the passengers are not ready at the scheduled pickup time. The same waiting charge will apply if the passenger is stopped at the border for secondary inspection by the border agencies.